As many homeowners in Texas can attest, mysterious problems such as impossibly high energy bills and unseen leaks can suddenly emerge, and tracing the source of these problems is not always easy. 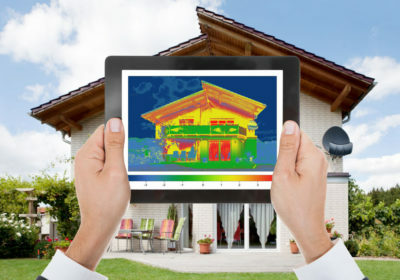 This is why we at ECS Home Inspections offer thermal image inspection services, a sophisticated solution to complex problems and issues that might not always be easy to identify via traditional means. What are the advantages of thermal imaging? Every single one of our thermal image inspections includes a detailed report which contains the results of your thermal imaging assessment in an intuitive and easy-to-follow format. Our qualified Texas inspectors are trained in interpreting your results, so you can be confident in the reliability of their findings. ECS Home Inspections has been providing unmatched inspection services to clients in Texas for over three decades. In addition to thermal image inspections, we over a full array of inspection services, including termite inspections, home energy efficiency tests and more. For further peace of mind, we also offer insurance for general and negligent liability, and E&O. We take pride in our work and fully comply with InterNACHI’s Standards of Practice and Code of Ethics. Need inspection services in Texas? ECS Home Inspections delivers quality home and commercial building inspection services at affordable rates. To learn more about how we can help, and to schedule an appointment, be sure to give us a call at (512) 387-2689 or call our toll free number (866) 319-2118.